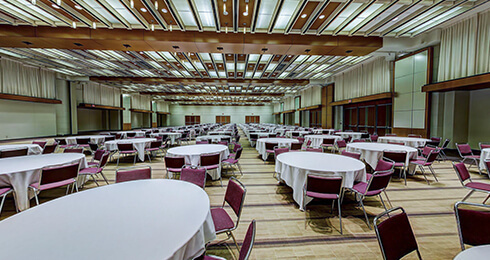 Perfect for galas, fundraising events, banquets, and more, our two ballrooms are elegant and flexible spaces that can be adapted to suit any of your event needs. Our North Building houses our 28,000 sq ft Grand Ballroom, known as Constitution Hall. Frequently used for black-tie and social functions, it can accommodate up to 2,600 guests comfortably. 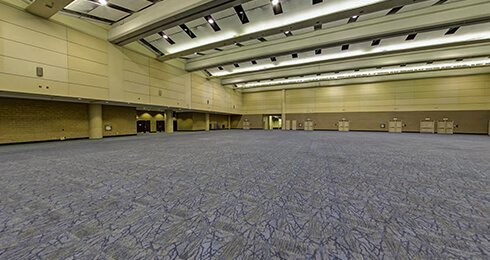 Fully-carpeted with contemporary decor and flexible lighting, this ballroom can also be separated into three sound-proof rooms divided by operable walls. 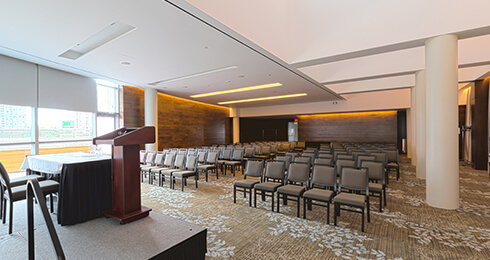 In our South Building, we boast 50,000 sq ft of ballroom space with Halls F and G, both featuring high ceilings, contemporary fixtures, and adjustable lighting. 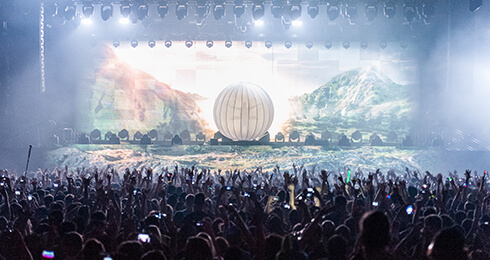 In addition, operable walls allow rooms to be easily re-configured, enabling you to make the space as unique as your event.